In October 2012, Antonio Agudelo visited the Zoological Museum of the University of Hamburg (ZMUH) – just one station on his long trip through the European collections – meeting with Kai Schütte and Frank Wieland. 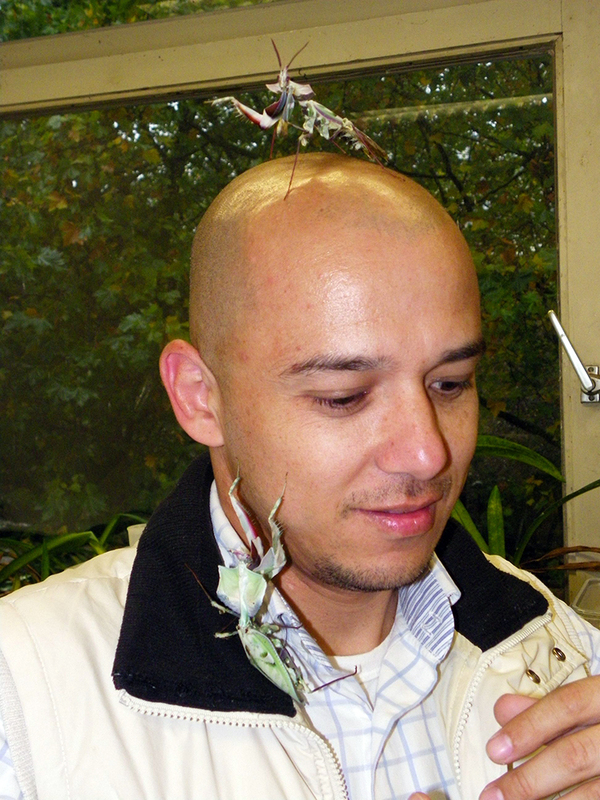 During his stay, Antonio studied the neotropical Mantodea material. 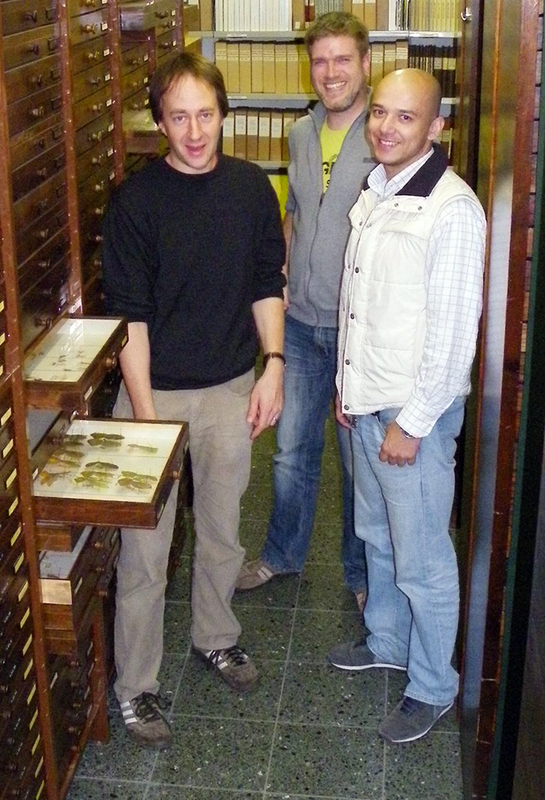 Kai, Frank and Antonio in the Mantodea-collection of the ZMUH. ← Svenson featured on NPR!